WASHINGTON (CNS) — Mother Angelica “reflected the Gospel commission to go forth and make disciples of all nations” said Archbishop Joseph E. Kurtz of Louisville, Kentucky, president of the U.S. bishops’ conference. My husband and I met Mother in the early 80’s…. We enjoyed her so much. Mother took the time out of her busy Sunday to speak with us…. Thank you Mother for staying close with God and teachings from the Bible and Holy Catholic Church…. 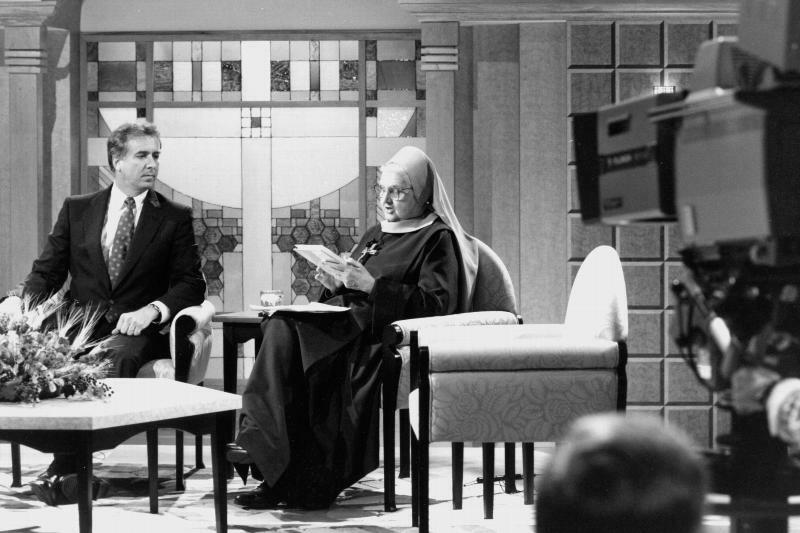 Mother Angelica allowed me to come on her TV program to to discuss the life and holiness of Saint Gianna Beretta Molla on October 13, 1999. Mother even put on the Saint’s gloves to which I replied, “[You have] the hands of a saint!” I will always cherish my meeting this holy nun. R.I.P. 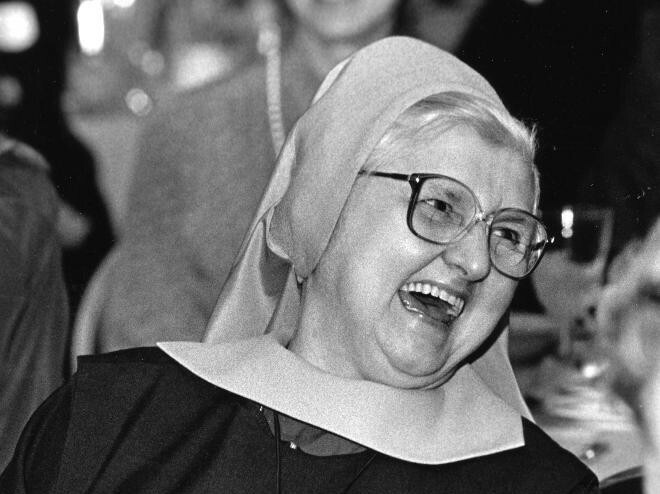 I loved Mother Angelica. I learned so much from her programs. And EWTN has alwYs been my favorite TV station. If it weren’t for her, there would be no EWTN and the beautiful insightful talks she gave, inspiring and understanding always!! !